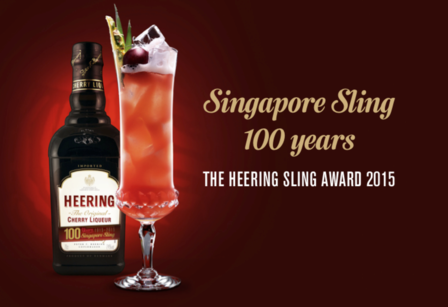 Peter F. Heering, producers of the famous Cherry Heering liqueur are celebrating the Singapore Sling’s 100th anniversary with the 2015 Sling Award – an annual bartender’s cocktail competition and ‘Here’s to the Tiger’ – both a competition and charitable promotion in support of the few remaining wild tigers. The global final was held in New York on 22 September and the winners have been chosen! 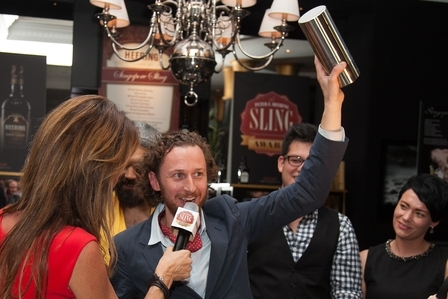 To compete in the 2015 Sling Award, each bartender presented a Sling menu consisting of three different Slings. In New York on 22 September 2015 the global final was held, where the overall winner as well as four runners-up were chosen. They win a trip to Singapore and the legendary Raffles Hotel where the Singapore Sling was born. 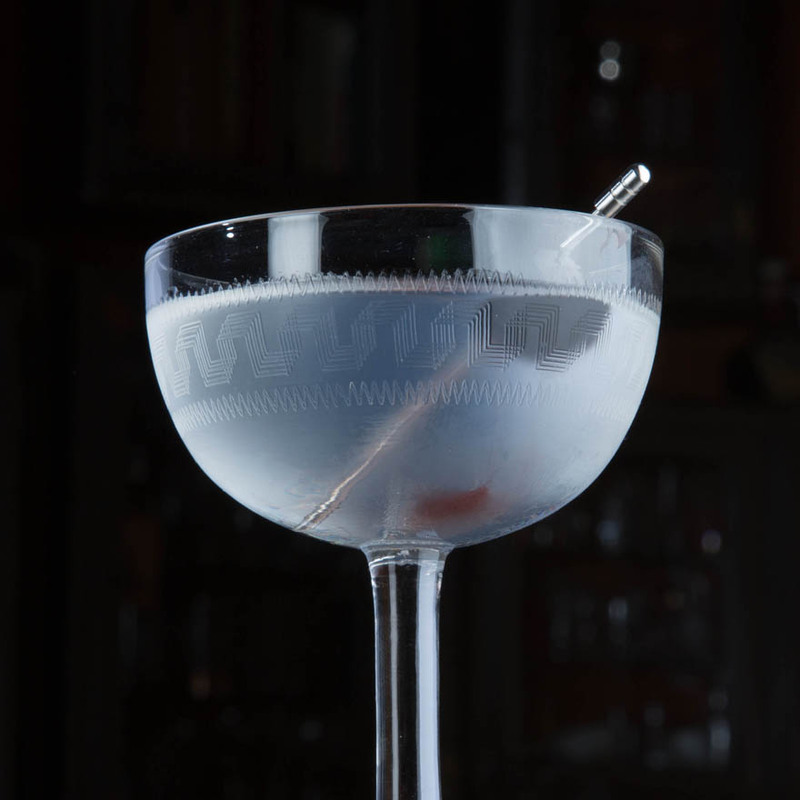 Their winning drinks will also be featured here on Difford's Guide. The overall winner is Christoffer Johansson from Sweden, with his Chris Cross Bitter Sling. As well, one bartender from each of the following bars will join the group in Singapore. Their bars raised the largest sum of money for 'Here's to the Tiger' element of the competition. 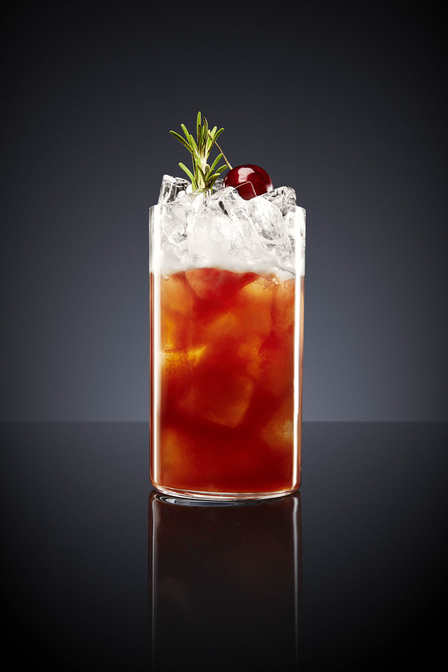 The fantastic four will join the five bartenders in Singapore to celebrate the Singapore Sling's 100th anniversary. 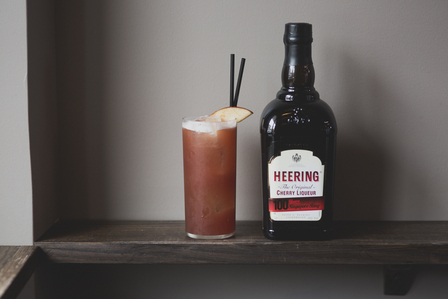 Cocktail history was made in Singapore in 1915, when Ngiam Tong Boon (嚴崇文), bartender at Raffles Hotel's legendary Long Bar created the Singapore Sling, his recipe included a slug of Cherry Heering. Sadly Raffles Hotel has been the scene of destruction as well as creation. In the late 1800s it was commonplace for workers on rubber plantations of Singapore to be killed or mulled by the many Malayan tigers that prowled the island. Bounties were set on tiger's heads an attempt to rid the island of them. Legend has it that the last Singaporean tiger was killed in 1902 at the Raffles Hotel. Truth is that tigers were hunted to extension in Singapore and the one killed at Raffles had escaped from a circus and was trapped under the billiards room. 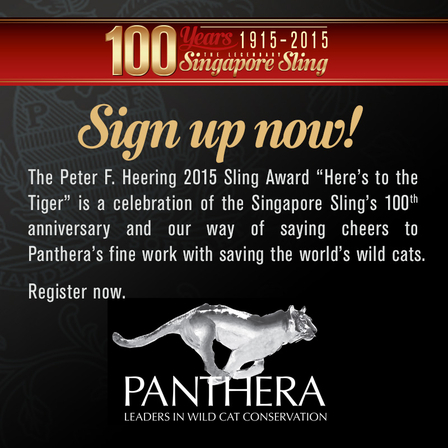 This year, 2015, the Singapore Sling celebrates its 100th birthday and in celebration of this Peter F. Heering has launched a global charitable campaign 'Here's To The Tiger'. 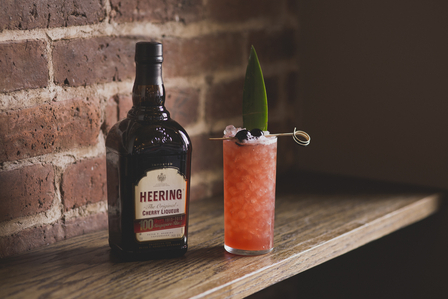 Promoted as part of Peter F. Heering's Sling Awards, a global competition challenging bartenders from around the world to create their own contemporary interpretation of the classic Sling cocktail. The objective is to raise money to support the Panthera Organization which works to save the world's tigers and other wild cats through "scientific leadership and global conservation action." 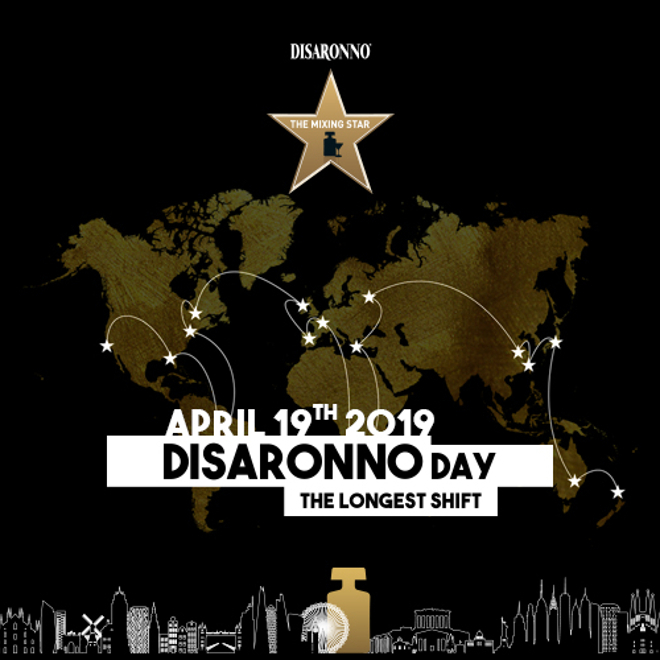 Nine global winners of the competition will win a trip to Singapore, including a stay at the luxurious Raffles Hotel and the chance to see tigers, live and up close. The competition is now closed for entries. 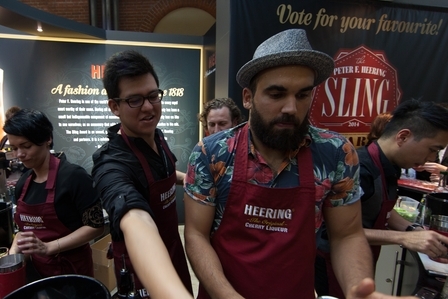 The winner of the 2014 Peter F. Heering Sling Award was Nick Kobbernagel Hovind, Denmark with his 'The Sloe Sling'. The competition attracted several thousand entries with the top 44 National Winners announced in June 2014. These were whittled down to the top 17 for the semi-final in August with five competitors going forward to compete in the final held on 7th October 2014 in Berlin. Method: SHAKE first 7 ingredients with ice and fine strain into chilled glass. TOP with soda. See these and all the other semi-finalists recipes below. 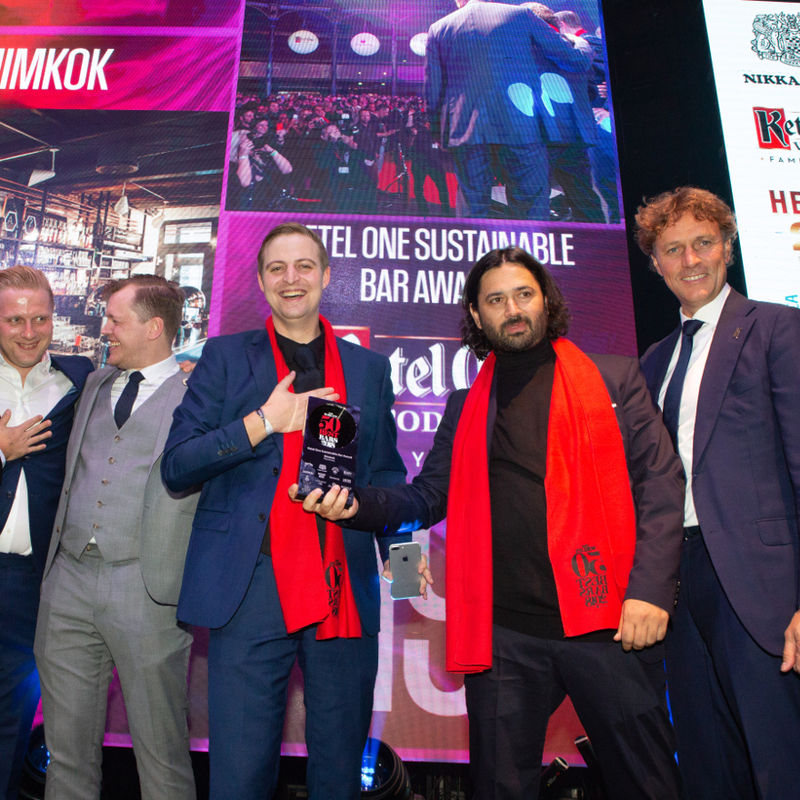 Judging the final in Berlin were David Wondrich (cocktail historian), David Rosengarten (Forbes Magazine), Heinfried Tacke (Drinks Magazine), Réne Riis (Four Magazine), Nikolaj Brøndsted (Good Spirits, Mash Group & Umami)and Fredrik Tilander (owner of Peter F. Heering). 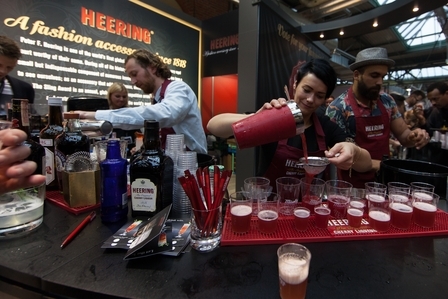 There was also a "peoples vote" with attendees of the Bar Convent Berlin show given the opportunity to taste the five finalist's drinks. 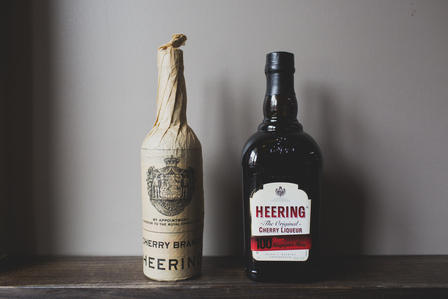 We hosted the Semi-final of Cherry Heering's Sling Awards on 26th Aug 2014 in our Cabinet Room bar here in London. 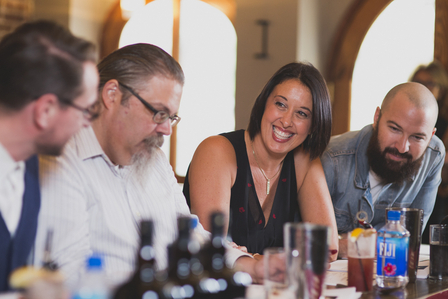 I (Simon Difford) acted as both bartender and judge, along with fellow judges Luca Cordiglieri (UKBG), Simon Webster (BarlifeUK) and Luisa Hallen (Marussia Beverages). I was helped in my efforts to reproduce the 17 semi-finalists recipes as faithfully as possible by Enrico Gaddoni. A video of each competitor making and talking about their recipe was played as I reproduced their recipe. 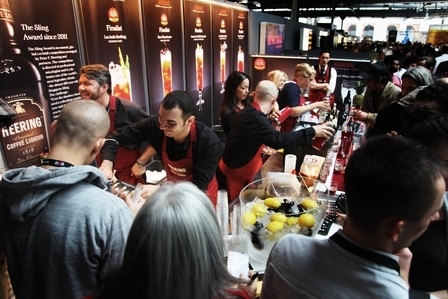 The competition saw a bewildering array of ingredients with the base spirits used by competitors ranging from Japanese single malt to aquavit, with mezcal and a vast range of different gins. 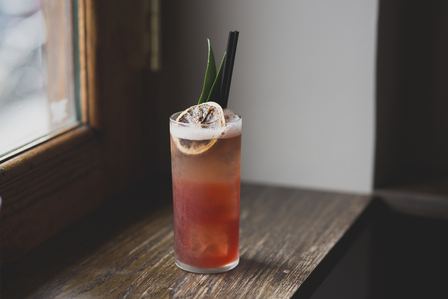 The definition of what a sling actually is was stretched to breaking point by some competitors in their quest to stand out while others stuck to a recognisable riff on a Singapore Sling but with unexpected flavours such as tea, celery and rhubarb. 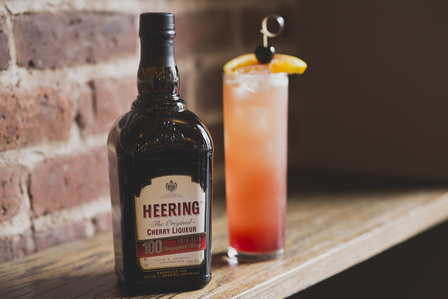 Mixing and then sampling these very individual 17 drinks made for a most interesting day with Cherry Heering rightfully shining through in the best entries. 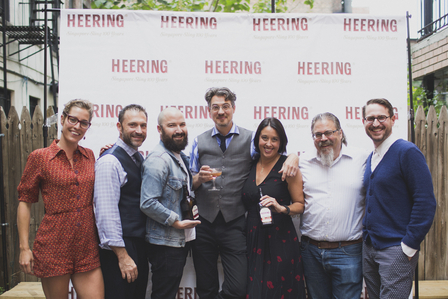 Our day of mixing and judging resulted in the following five finalists who will go on to compete at the Berlin Bar Show in October for the Peter F Heering Sling Award 2014. Method: SHAKE first 5 ingredients with ice. Add other ingredients, SHAKE with ice and strain into ice-filled glass. TOP with ginger ale. Method: MUDDLE pineapple with salt in base of shaker. Add next 6 ingredients, SHAKE with ice and fine strain into ice-filled glass. TOP with soda and lightly stir. Garnish: Rub rim of glass with orange peel & "garnish with anything you like". Method: Ice glass and set aside to cool. SHAKE all ingredients with ice. Discard ice chilling old-fashioned glass and add 3 pieces of fresh paprika and two ice cubes into glass. 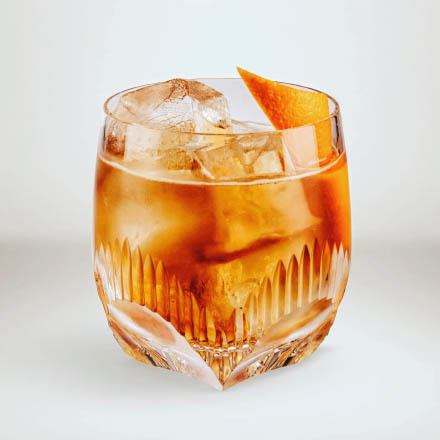 STRAIN shaken drink into chilled and prepared glass. * Sweet berry tea: pour 100ml of boiling water over 10g loose leaf sweet berry tea and leave to stand for 5 minutes. Strain and allow to cool. Method: MUDDLE cherries and celery in base of shaker. Add next 7 ingredients, SHAKE with ice and strain ice-filled glass. TOP with soda. Method: MUDDLE rhubarb, half of gin and cinnamon. Add other liquids apart from the soda and fresh cherries. SHAKE next 6 ingredients [not soda] with ice and strain into ice-filled glass. Method: Gently MUDDLE mint in julep cup. Add other ingredients and SWIZZLE with crushed ice. Method: MUDDLE Jahe Merah Jahe in base of shaker. Add other ingredients, SHAKE with ice and fine strain glass filled with ice and rhubarb ribbon. Method: MUDDLE pineapple. Add other ingredients and SHAKE with ice and strain into ice-filled glass. Method: DRY SHAKE all ingredients with ice. SHAKE again with ice and strain into ice-filled glass. Method: MUDDLE rosemary and mezcal in base of shaker. Add other ingredients, SHAKE with ice and fine strain into chilled glass. Method: MUDDLE kumquat in base of shaker. Add other ingredients, SHAKE with ice and strain into ice-filled glass. Method: MIST glass with Lagavulin. SHAKE all other ingredients with ice and fine strain into chilled and Lagavulin misted glass.